G-SHOCK believes a watch should be resilient and stylish; just like a modern man. We're proud to partner with them on this post! It’s fall, and that means your favorite cozy clothes are coming out of summer storage. While it’s comforting to start wearing your fall pieces again, it’s also worth asking: is there a simple way to refresh those autumn classics? 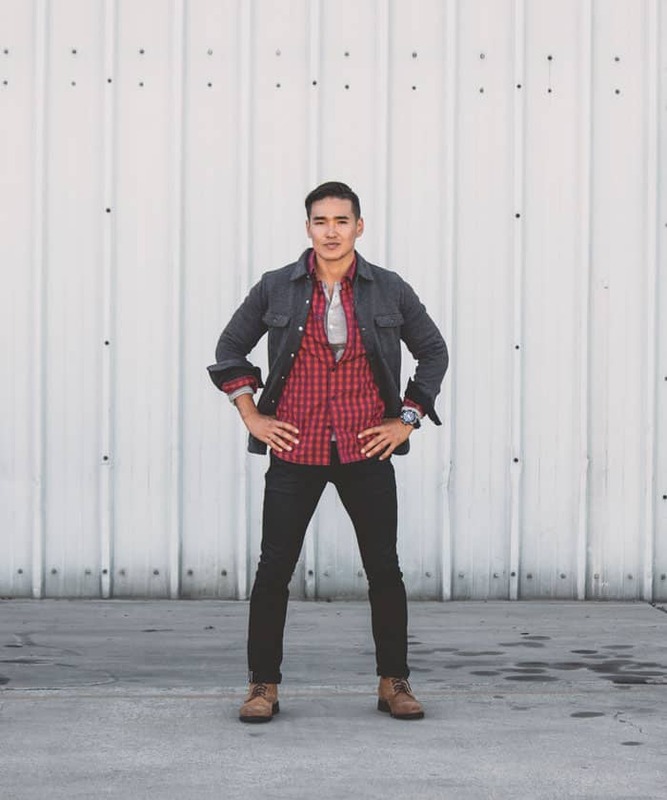 For example, blue denim and flannel are the classic fall pairing, but it’s easy to get stuck in a style rut. With a few tweaks, those perfect-for-crisp-nights flannels and fleece jackets can strike a modern balance between rugged and refined. You can use what’s already in your closet – and maybe a few strategic new pieces – to make a look that’s both outdoors-inspired and modern. 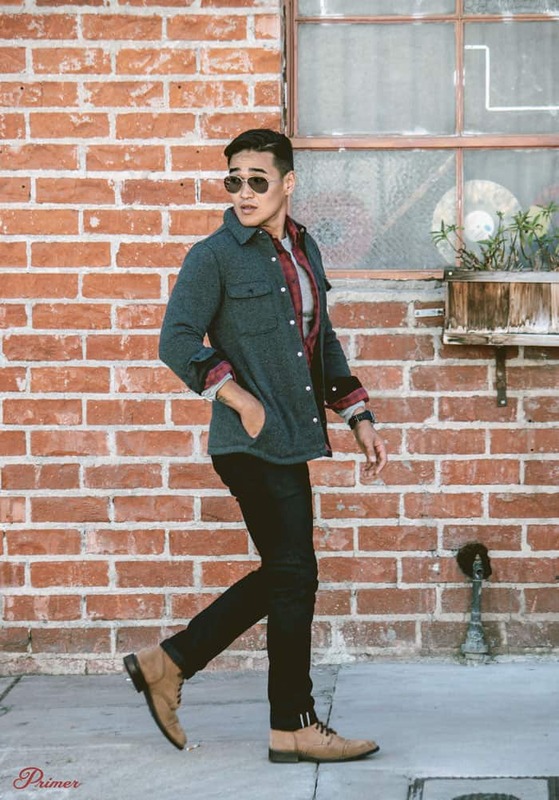 A red flannel is a fall staple, but here we’ve paired it with Japanese slim-cut black selvedge denim instead of the usual blue jeans. The darker hue keeps the red bold, not cartoonish, and makes the whole thing a bit more street style instead of Brawny man. Also contrasting against the black denim pants, these roughout leather boots are a nod to classic work boots, with a more refined silhouette. Pairing the tan boot with black jeans is a good way to bring in a neutral earth tone to counterbalance the vibrance of the red flannel. Another key to successful autumn style is layering, which creates dimension as well as warmth. 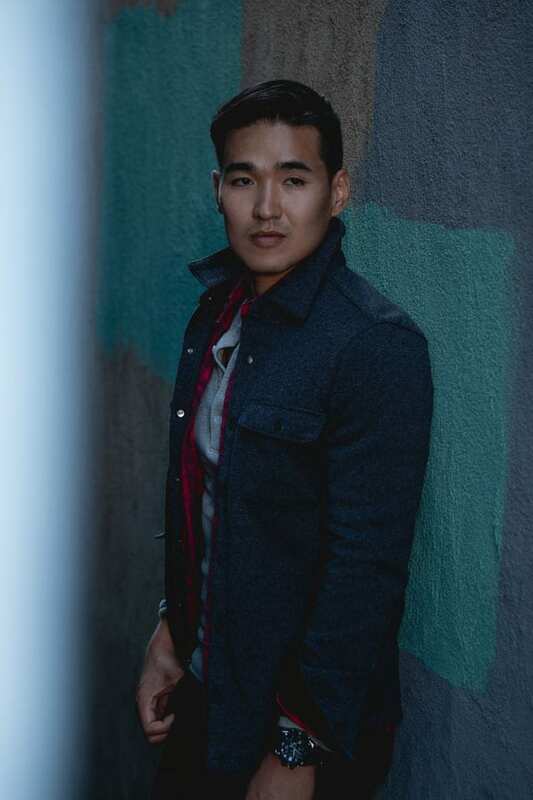 Underneath the flannel is a soft gray thermal henley – the buttons add a little more interest than the usual t-shirt. And we’ve topped it off with this awesome Target find: A fleece shirt-jacket that has equal parts field jacket good looks and sweatshirt comfort. The charcoal gray will prove to be what we like to refer to as chameleon style items. They're as dressy as the other things you pair them with, so you can feel equally at home enjoying a craft cocktail in your favorite bar or sipping a beer on the porch. Updating your fall look doesn’t end with clothes. Crafting a more modern take on your classic flannel look requires thinking outside the box on accessories, too. 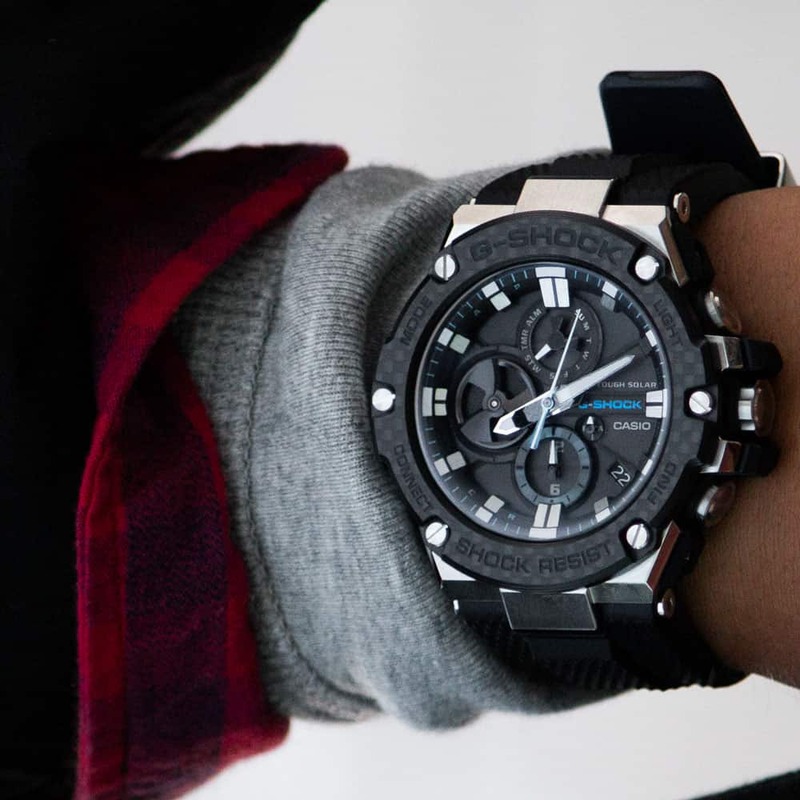 The G-STEEL carbon isn’t a traditional timepiece – but that’s the point. 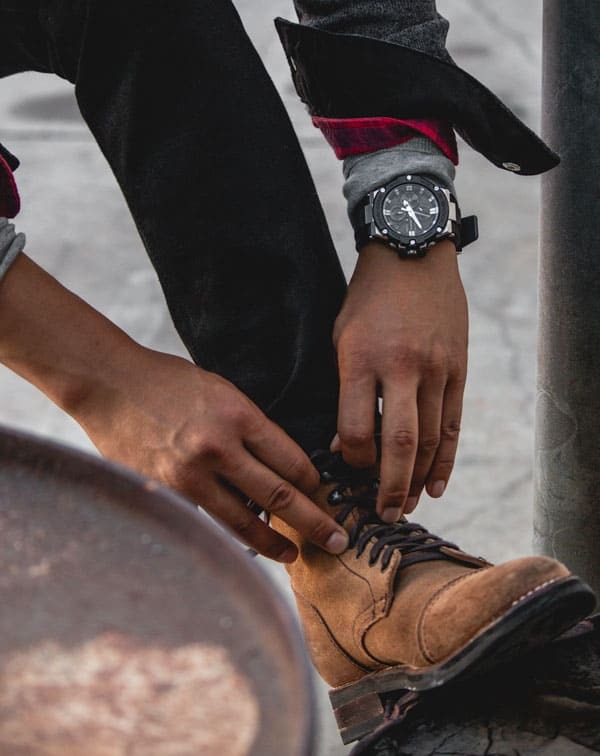 Accessories have the power to inflect an entire outfit, and the lightweight carbon bezel, stainless steel, and chronograph dials of the watch signal that your fall Getup isn’t just for looks… it’s built for action, too. The bold aesthetics of the G-STEEL are backed up by some serious technical functionality. As with all G-STEEL watches, this piece is insanely rugged. G-SHOCK watches were originally conceived to meet or exceed the demanding Triple 10 test: To withstand a 10 meter drop, 10 atmospheres of water pressure, and have a battery life of 10 years – this G-STEEL has a depth rating of 200 meters and is solar powered. The result is a shock resistant hollow-structured case with an all-directional protective covering and critical parts protected by cushioning material. Under the hood, Bluetooth connectivity pairs the G-STEEL with your phone for daily time updates and a nifty find-your-watch feature. It’s also solar powered, so the battery charges itself as needed from sunlight. The G-STEEL is an attention-grabbing twist on a modern fall look – one that’s ready for adventures, in the woods or the city, and just about anything you can throw at it – this fall and all year round. Learn more about the G-STEEL line here. What are some of your must-haves for fall? Share your favorite cool-weather essentials in the comments. HOME. RUN!!! THIS, is my kind of getup! great job Andrew! The only criticism I have for this Getup is that the Redwing Iron Ranger boots have the cork sole. Being from Minnesota, I ripped that baby off so quick and slapped a Full Lug Vibram sole on em. Best thing you can do to make a great boot even better! Also, any thought on swapping the g-Shock watch for a divers watch? Like a Tisell Marine Diver? Would this dress up the outfit a little more or how can you add to this outfit to dress it up just a bit? The rolled sleeves is doing too much, in my opinion. I really appreciate seeing the rolled up sleeves — as a short guy with short arms, seeing ways to make it look less like I’ve stolen my dad’s shirts is helpful. oversize watches need to die quick.